Legal Web Watch February 2017: RSS is dying, right? This article first appeared in Legal Web Watch February 2017. Legal Web Watch is a free email service which complements the Internet Newsletter for Lawyers. To receive Legal Web Watch regularly sign up here. I am a long-time proponent of RSS but am aware that it is declining in visibility. 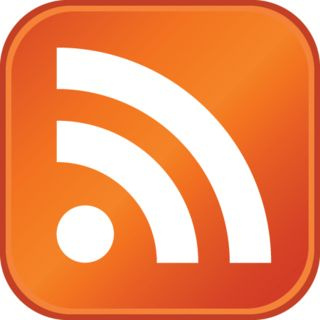 Many sites large and small are not offering RSS feeds any more. What’s up? First, for those not familiar with RSS, it is a way to subscribe to latest update feeds from websites. You find RSS (or Atom) data feeds wherever you see the little orange feed icon pictured (or similar). Pop the feed URL in your reader and you automatically get fed new headlines and meta data (author, date, subject, summary and maybe full text), with links to the original articles. Time was when RSS feed reading was supported by many dedicated feed readers, some email clients and most browsers. And major sites like Facebook and Twitter offered RSS feeds as an alternative way of subscribing to updates. No more. Widely used readers such as FeedDemon and Google Reader have been discontinued, citing declining popularity, though services such as Feedly (recommended) continue. Amongst browsers, Mozilla Firefox and Internet Explorer include RSS support, but Google Chrome and Microsoft Edge do not. Apple removed RSS support in the Mountain Lion versions of Mail and Safari, although features were partially restored in Safari 8. Over the last 12 months both Facebook and Twitter have quietly removed RSS links from their webpages, eliminating an easy way to receive notifications without the need to interact with the services directly. Meanwhile Google+ has never offered RSS feeds. Of course it's clear that these social media services have an interest in killing off RSS. They all want to usurp its role as the web's universal subscription platform and become the de facto gatekeepers of the web. Yes it's true that these services can take the place of RSS in many circumstances, but it comes at a price. The great thing about RSS is that no-one controls it — you can't buy it, block it or ban it. It adheres to one of the web's founding principles; "information wants to be free". Meanwhile Twitter, Facebook and Google's founding principles are closer to; "information needs to be monetised". Once these gatekeepers control what you see, and monitor how you interact with it, it's easier to target advertising at you. So it’s not that RSS isn’t great (it is quite possibly the best thing since sliced bread); it’s that the big guys don’t want you to use it. But look around and you’ll find that those that care primarily for your information needs rather than your £££ offer RSS feeds in abundance. Legislation.gov.uk, BAILII and GOV.UK all offer RSS feeds for every conceivable view of their update data. For the detailed how to, see my article RSS is alive and well. All blog software and most other content management systems offer RSS feeds by default (like WordPress). If your blog or site does not offer feeds, or they are not working properly or are not promoted, why not? Ask your systems admin. Fix it! Finally, even if this all sounds a bit technical or you don’t want to be bothered subscribing to feeds, consider that most third party sites that offer latest headlines etc do so by reading RSS feeds, either directly or indirectly, for example using an app like dlvr.it to plug RSS feeds into social media accounts. It’s ironic that Twitter who for selfish reasons discontinued support for RSS, actually publishes millions of tweets a minute that are generated from RSS feeds. So next time someone tells you RSS is dying, dead even, give them the alternative facts. And happy feed reading!